The Coaster 33 was built between the early 70's and the late 80's. In all, 47 boats were built. The majority were ketch rigged but a few were given a sloop rig. The Coaster 33 was designed by Alan F. Hill. 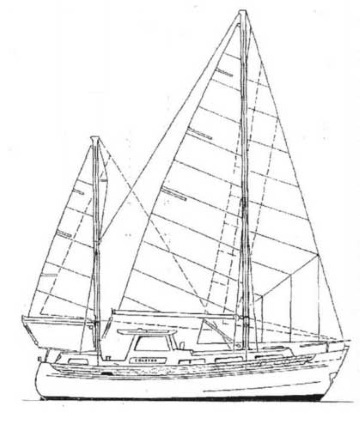 The hulls were moulded by Robert Ives Ltd with most being fitted out by R.J Prior & Son of Burnham-on-Crouch. All boats have a Lloyds moulding certificate. The hull is based on traditional MFV lines but the profile below the water line helps give the Coaster 33 an excellent sailing performance for a motorsailer. 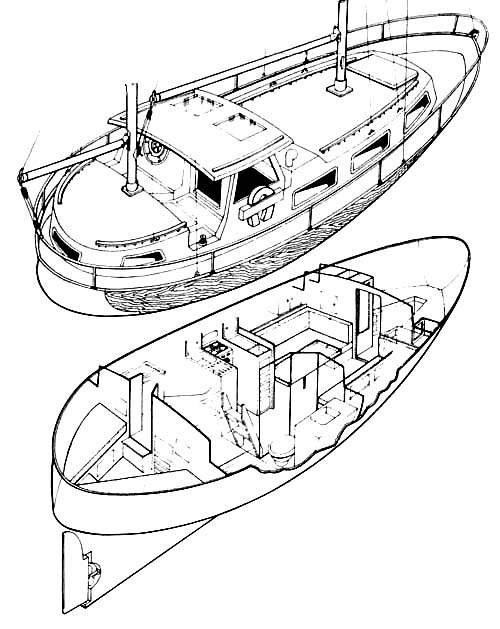 The boats were originally fitted with a Perkins 4.108, Mercedes OM636 or a Tempest Captain diesel. The engine is supplied from two diesel tanks mounted either side of the engine, giving around 75 gallons capacity. Inside, the boats were fitted out with six berths. The forecabin forms a fairly conventional layout with twin vee berths, hanging lockers and a vanity unit. The main saloon includes full length settee berths either side, with a folding centre table. The seat back backs lift to reveal further storage space. The galley lies to port and forms a U-shape with sink and drainer and ample work surfaces. To starboard, the heads compartment includes toilet, wash basin, plus a number of lockers and additional storage spaces. The 80 gallon water tank lies beneath the saloon floor. 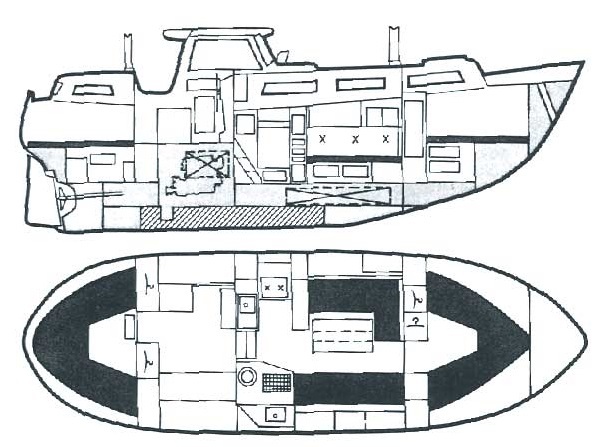 The aft cabin again follows the conventional layout with twin vee berths, hanging lockers and a vanity unit. In all, the emphasis is on seaworthiness and ability to perform in all weather, under sail, power or both. In combination with the straight forward but comfortable accommodation, the Coaster 33 provides an excellent boat for extended cruising.